Get ready to submerge deep under the water and collect the huge amount of gold coins beneath. It is a beautiful slot that has been engineered perfectly by professionals to give players some light-hearted moment. Dive into the slot which has been designed with incredible bonus features for players to swim along with. Double your Dough slots can be played by all types of players no matter what their experience in gaming is. With an aquatic theme, heaps of features have been incited to the slot to make sure that players enjoy every moment under the water. Double your Dough slots have been developed by Realistic Games; that is also known as betting specialist and popular for the beautiful theme based slots it creates. It was established in 2002 and has received massive appreciation for the games that it has created throughout. They are comprised of a dedicated team and their experience in the gaming industry has also helped them create quality slot games. Realistic Games has always been known for the impeccable design and creativity that goes into each of their slots, they are one of the leading innovative developers of the game in the gaming industry. There are 5 reels and 20 paylines to play with. The coin size ranges in between 0.01-10 and players have to first fix their bet before spinning the reels. Each time you land matching symbols when you spin the reels, you will be credited with wins. 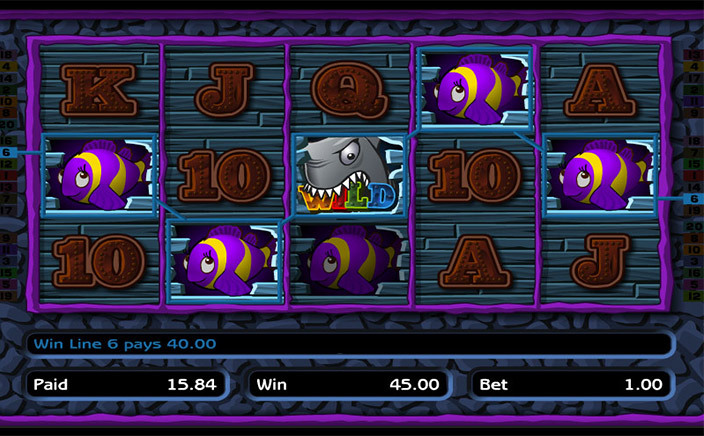 The sharks are the wilds which will replace the other symbols to complete combinations and add wins to your account. They are one of the highest paying symbols which can give you big wins so be sure to get hold of them. The coin symbol, on the other hand, is the scatter and will trigger the free spins round, in the free spins round; all the wins will get doubled which will instantly boost the wins. If you land the double your dough bonus symbol during the bonus round then, you will win a whopping x500 on your bet amount. Play the slot in fun mode or real money mode and experience the fun features for yourself. It has been designed with plenty of bonus features to let the players enjoy the most out of this slot game. 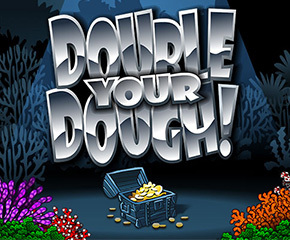 Game Title : Double Your Dough!